In this intensive 3-day workshop, DBT will be de-mystified and you will learn how to use this highly effective therapy to better treat your clients with problems managing emotions. Sheri’s unique workshops emphasize the flexibility of DBT and the benefits of using this therapy to treat disorders other than borderline personality disorder, including bipolar disorder, depression, anxiety disorders, eating disorders, and concurrent substance use; as well as other difficulties clients experience such as problems with self-esteem, anger, and grief. Through lecture, experiential exercises, and case consultation you will explore the four modules of DBT: Core Mindfulness, Emotion Regulation, Distress Tolerance and Interpersonal Effectiveness. Explore tools and strategies to improve the therapeutic relationship and reduce feelings of ineffectiveness and burn-out. Viewing video-tapes of Sheri’s real-life sessions will provide you with a better understanding of the flow of individual sessions as well as how to balance accepting clients where they are with pushing them to make positive changes. 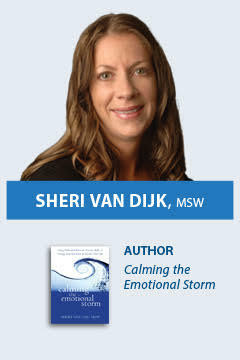 Bringing her years of clinical experience in both private practice and as part of a community hospital; and working with both individuals and DBT-informed groups, Sheri’s practical, inspiring, and highly praised workshop will give you evidence-based skills that can be immediately put into practice. Learn more about the origins of DBT in order to more fully understand it, including a brief look at DBT versus CBT; the traditional DBT model; and research showing that adaptations of DBT can be very effective. Describe the biosocial theory and how this applies to BPD and other disorders of emotion dysregulation. Discuss behavior theory and the importance of these concepts to building stronger relationships with clients, and to assist clients in making behavioural changes. Demonstrate a variety of mindfulness techniques to make mindfulness more understandable and acceptable to clients. Explain the basics of dialectics and some dialectical strategies for the individual session to help get clients unstuck and to build the therapeutic alliance. Develop a basic understanding of neuroplasticity and how mindfulness relates to this, as well as how you can translate this into skills and use these ideas to help increase client motivation. Explain skills in the Emotion Regulation module to give clinicians a basic understanding of how to teach these skills to clients to regulate emotions more effectively. Demonstrate the distress tolerance skills that will help clients survive crisis situations and learn how to not act on urges. Discuss Interpersonal Effectiveness skills: the importance of increasing and maintaining positive relationships and improving communication. Discuss how these skills can be helpful in treating a wide array of psychiatric conditions and problems, including major depression, bipolar disorder, anxiety disorders, and problems with anger and self-esteem. This workshop counts towards the 21-hour educational requirements when applying for Certification in Dialectical Behavior Therapy (CDBT) available from Evergreen Certification Institute (EVGCI). Go to https://www.evgci.com/evgcert/appprocess for details. To make a reservation, please call 800.661.9266. *Please book early to reserve your space! This workshop takes place during Banff’s high season, ALL recommended accommodation will sell out. The Banff Lodging Company offers a 10% discount at their sister properties. Bookings must be made a minimum of 45 days prior to the event. All bookings are based on availability at time of booking. This discount is available from July 2 – 18, 2019. Banff Lodging Company – Call 1.800.563.8764 reference the “Jack Hirose & Associates Group Rate #2570866”. The Banff Park Lodge in the heart of the Alberta Rocky Mountains and does not have an international airport. For those coming from away, the best option is to fly into Calgary, Alberta, Canada (YYC) and rent a car or take the Banff Airporter (bus) to get to your hotel. The ride will take about two hours and you will enjoy a wonderful view of the mountains as you approach. Receive a 15% discount on the Banff Airporter’s shuttle service between the Calgary Airport and door to door service to your hotel in Banff. To book please go to www.banffairporter.com/book. Please insert one of the promo codes below in the Promo Code section on the final payment page to receive the discount. If have any questions you can call their toll free number at 1.888.449.2901. To receive the early bird rate, registration and payment must be received by Monday, June 17, 2019.